Ask the average British family to name five holiday hotspots in Spain and chances are the answers will be predictable to say the least. From Benidorm to Marbella to Majorca to Barcelona and more, there are certain staples that never fail to top the table for most Brits. But here’s the thing – not only is Spain bursting with an abundance of less commonly known and travelled holiday destinations, but dozens of them are within spectacularly easy reach of the UK. It’s common to associate companies like Brittany Ferries with ferry travel to France, but did you know that they also offer a wide variety of ferry travel to Spain – and even holiday packages. For more information on holiday options to Spain with Brittany Ferries and current deals that they are offer click here. 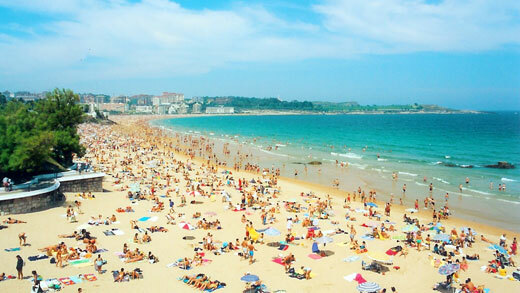 One of Spain’s most important cities and one that’s steadily growing in popularity with tourist crowds, Santander is a mecca of sandy beaches, historic treasures and uniquely wonderful people. A fairly large city flanked by lush green hills on one side and the majestic blue sea on the other, Santander is famous for its unique architecture and for retaining a very traditional Spanish way of life. Quite simply, Santander is perfect for weekend trips and longer stays alike. Nestled right in the heart of the Picos de Europa, Potes is a small town that’s big on local charm. A supremely pretty village that’s carved in two by the beautiful river that runs through its centre, a trip to Potes gives the feeling of stepping back in time to a wholly different century. The town also has an unrivalled reputation for producing some of the most incredible Spanish produce in the country, so it’s worth a visit if only to stock up on the good stuff! An area of outstanding natural beauty and an absolute hit with those who share a taste for the great outdoors, Puente Viesgo is located in the province of Cantabria. Puente Viesgo looks, feels and in many ways is a million miles removed from the busier Spanish cities and those that pull in the annual tourist crowds, boasting instead the famous Altamira caves and the wonderful nearby seaside town of Santillana del Mar. In many ways, a cosy and historic haunt for the more discerning visitor to Spain. A wonderful Cantabrian town within easy reach of both Santander and the UK, Torrelavega is famed for its genuinely breathtaking natural surroundings. Pretty villages, stunning mountains and dreamy beaches are all within easy reach of the town’s centre, where the local customs and cuisine have remained unchanged and widely celebrated for centuries. 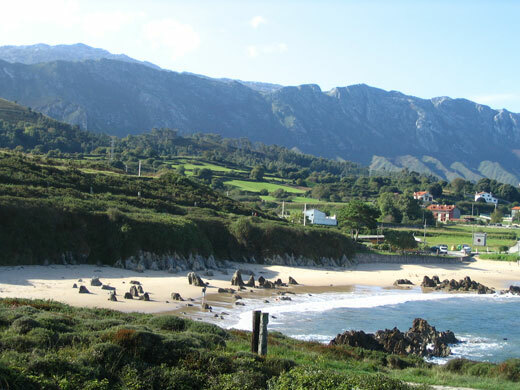 Last but not least, Llanes was once one of the best-kept secrets in the whole of the Asturias region – a hidden hideaway where quiet beaches of staggering beauty escaped the pressures of high-level tourism. These days, it’s still far from the maps of more travellers and has retained a wonderfully undiscovered feel – it’s really the kind of coastal paradise that should be explored and indulged in before word gets out!